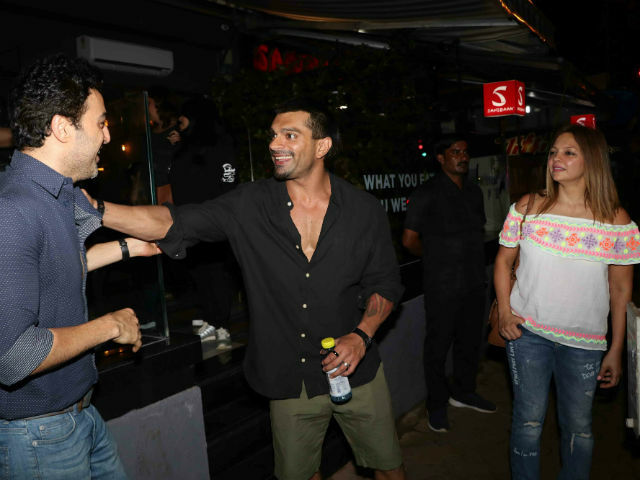 Actor couple Bipasha Basu and Karan Singh Grover dined with close friends like fashion designer Rocky S and author Deanne Pandey on Tuesday evening in a suburban restaurant in Mumbai's Bandra. Bipasha, 38, wore a red and blue checked dress while Karan, 35, was casually dressed for the evening. Bipasha posted a few pictures from her dinner diary on Instagram. "Good food and good company - always a must," she captioned one of the pictures. Bipasha married Karan last year in April after a courtship of one year. Bipasha was the lead heroine in Karan's debut Bollywood film Alone, which released in 2015. Here's how Bipasha and Karan spent their last evening. 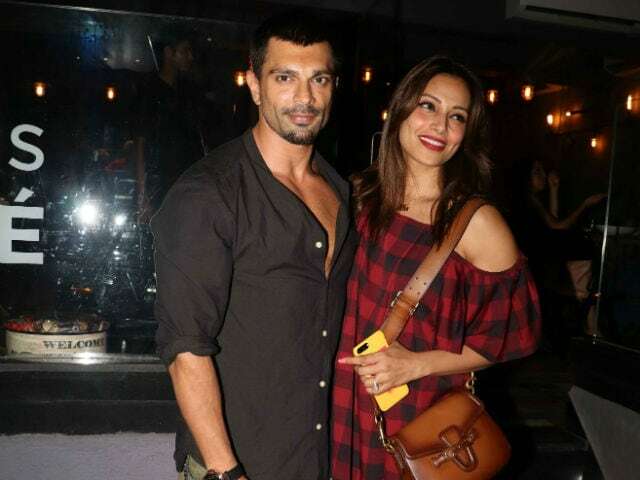 Bipasha and Karan celebrated their first anniversary in Goa. A couple of month back, the couple released a video, where they shared messages about each other. "I've craved that kind of a love where your lover wants you, needs you, likes to spend time with you. He fixed me," Bipasha says in the video while Karan said that Bipasha changed his life a lot. Happy 1st Anniversary my love. You are and will always be my everything. Thank you for loving me so much. Bipasha Basu is known for films such as Raaz, Ajnabee, Corporate, No Entry, Apaharan, Dhoom 2 and Race. Karan Singh Grover debuted in the industry with the television show Dill Mill Gayye. His last film was Hate Story 3, co-starring Sharman Joshi and Zarine Khan. Karan was previously married to actresses Shraddha Nigam (2008-09) and Jennifer Winget (2012-16).